This is to inform the general public, most especially the indigenes of the State of Osun that 2nd round OYES registration is finally opened. 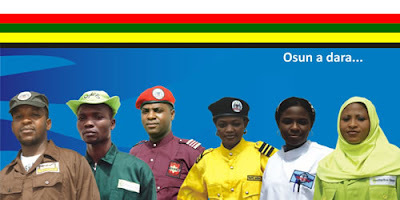 I'd got an insider information earlier that the state government under the leadership of Adegboyega Oyetola will open registration for more unemployed youth to partake in the stated-owned empowerment programme. These new openings, according to an unofficial source, was meant to employ more graduates for some vacancies in certain ministries and parastatals across the state. Applicants must be between the age of 18 to 35. Applicants must be at least SSCE holders. Holders of Msc, Bsc, HND, OND, NCE, Health Technology should apply. Note that grades in your result do not matter for this application, you only need valid evidence of your qualification. Fill the basic form to receive a phone code. You will need this code later. You may want to know what next after filling and submitting the form. The support team will sooner or later announce the names of the lucky applicants. The list will be made available on the application portal. You will need your email/phone number together with the phone code (generated during the registration for this checking. As at the time of this writing, OYES registration has closed. Subscribe to my posts so I can inform you when new application opens. Follow the guide here to check if you had been selected as an OYES cadet. place else may just I am getting that type of info written in such an ideal manner?